My So- Called Handmade Life: Uncle! You know how I said I've been learning things as I knit socks? Well, I've discovered something that has brought me to my knees- 9 inch circulars. It's not a happy tale. But, first, I'll tell you about the pretty yarn I'm using. I don't know if I've posted any of the new yarn line I have been hoarding. 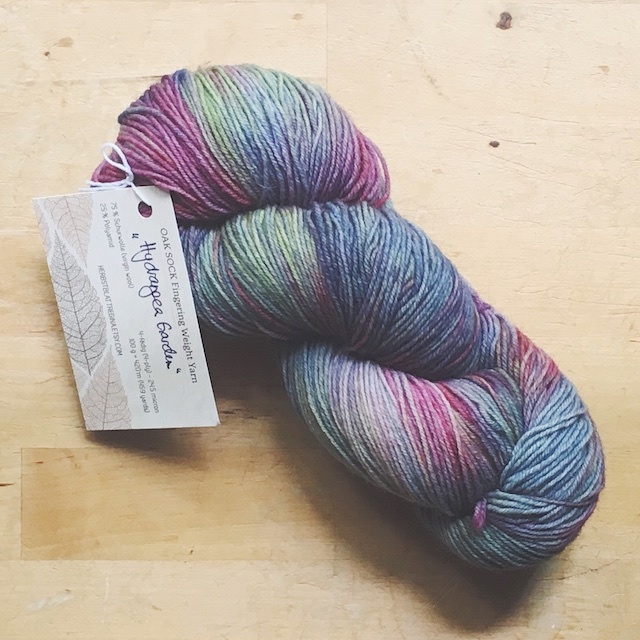 When Regina mentioned she'd be dying yarn on her podcast, I was excited for her, but I thought it might be out of my budget to order from Germany. Then she announced her Vikings Colorway collection and I had to order. 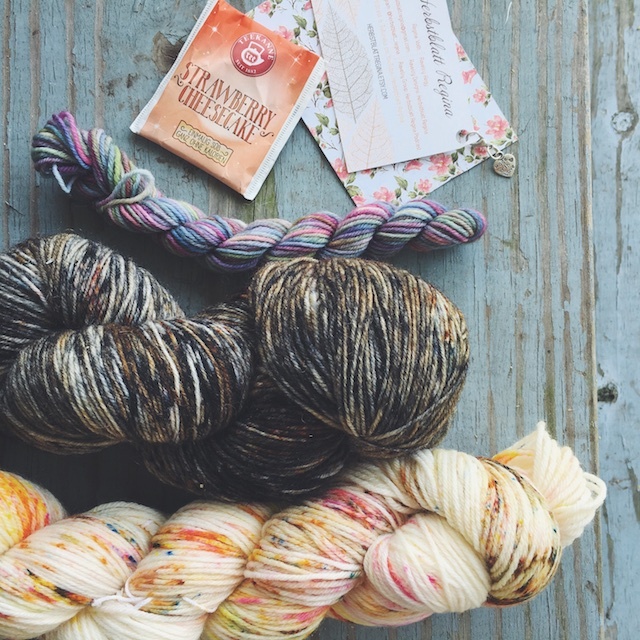 Yes, I'm one of those people who buy yarn because it's inspired by something I like. I was pleased to see that her yarn was actually very reasonably priced and ships faster than most yarns I buy in the states. So I got some more. And then some more. Anyway, this is her Hydrangea Garden colorway, which has nothing to do with raiding and pillaging, but I had to have it. Did my little phone pick up how beautiful these colors look together? It's like summer, slightly faded by the sun. That's not why I cried, "Uncle!" That was a win. My knitting stint with 9" circulars, however, was not. It just didn't work for me. Maybe it was the fact that I was beginning my sock in a dark theatre. 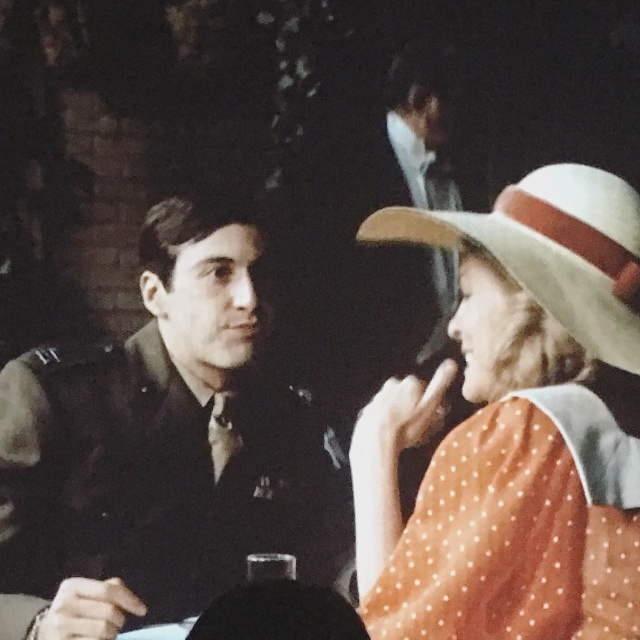 They showed The Godfather at the Jefferson Theatre for classic movie night and, since I'm having my own little vacation, I had to go. It was the perfect experience for this movie. It was packed and everyone laughed at the right parts- offers that can't be refused... horse heads- and it was as if I was seeing it for the first time. The tiny circular did make it easier to transport and not lose stitches. But, I kept knitting on them until the cuff was finished, well after the movie, and I was still having flow problems. I think it's because I need the leverage of longer needle tips to flick in English style and get a tight gauge without hurting my wrists. My wrists have been aching a little for a couple of days and I think it's from the tiny circs. 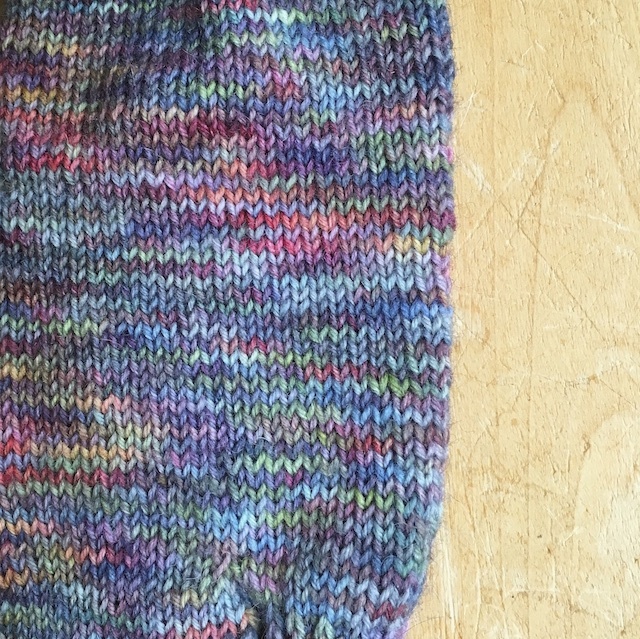 So, when I got to the heel flap, I switched to my long magic looper and am finishing with it. 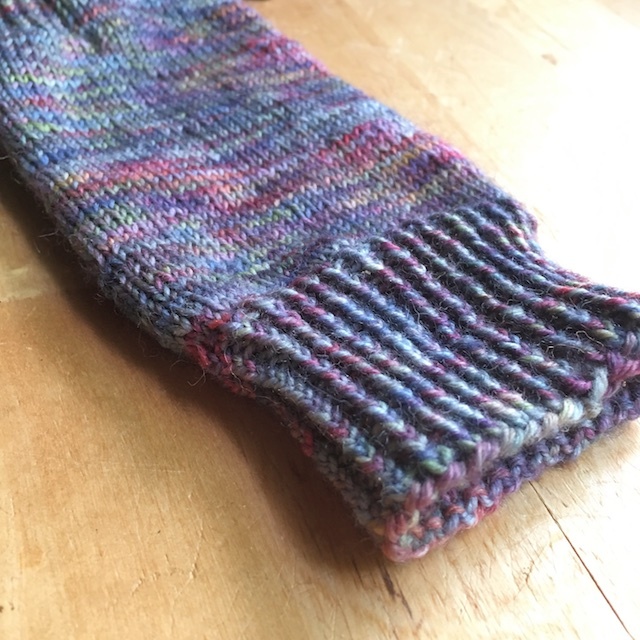 I have successfully knit all of my socks this year on 0s and 1s without RSI, I don't want to muck with that now. Maybe I'll try again one day. But this is Staycation Week for me, so I'm doing only stuff I like, the way I like. Here's a peek at one of my packages from Herbstblatt Regina. There's a Hydrangea mini skein, which is what hooked me, a colorway inspired by Floki from Vikings (which is totally how I look if I wear makeup to knit outside in summer), and Vanilla Cupcake.